Born at Edinburgh, Scotland on 23 June 1867, he took up golfing at the age of eight, playing on a local course near Musselburgh. He and his wife Jennet (c1878-?) immigrated to Canada in 1910 and settled at Winnipeg where he worked as an accountant in the Internal Audit Department of Manitoba Government Telephones from 1911 until retirement in 1940. Respected in business circles, he was also well regarded as an authority on golf in Winnipeg. He was President (1915-1922), Honourary President, and Honourary Life Member of the Norwood Golf Club; President (1920-1922) and one of three founding members of the Southwood Golf Club; a charter member, President (1922-1923), and Honourary Life Member (1938) of the Manitoba Golf Association; and President (1923-1924) of the Western Canada Golf Association. He was credited with the awarding of the 1921 Canadian Open Championship to Winnipeg and would later serve as Chairman of the MGA Tournament Committee (1929). He was a member of the Niakwa Country Club, organizer of the Manitoba Golf Association, and Secretary (1928-1938) of the Telephone Golf Club. A proud Scot, he was known to frequent the fairways in full Highland regalia. He died at Winnipeg on 8 June 1952 and was buried in the Chapel Lawn Memorial Gardens. “R. C. S. Bruce to lead golfers,” Winnipeg Tribune, 23 March 1921, page 18. “Manitoba Golf Association will take steps towards formation of western body,” Winnipeg Tribune, 3 May 1922, page 12. “R. 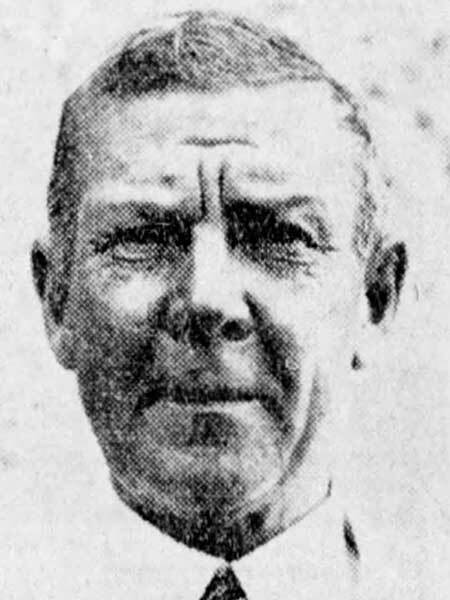 C. S. Bruce is golf leader,” Winnipeg Tribune, 7 August 1923, page 11. “Telephone Golf Club,” Manitoba Free Press, 13 April 1928, page 19. “R. C. S. Bruce recognized as one of the outstanding authorities on golf,” Winnipeg Tribune, 20 June 1931, pages 17, 19. “Telephone Golf Club prepares,” Winnipeg Tribune, 2 June 1932, page 13. “Diamond Jubilee,” Winnipeg Tribune, 3 May 1935, page 19. “Tee to green - talking about golf,” Winnipeg Tribune, 2 April 1938, page 31. “Phone golfers elect officers,” Winnipeg Free Press, 8 June 1938, page 14. “Congratulations,” Winnipeg Tribune, 23 June 1948, page 5. “Time out with Maurice Smith,” Winnipeg Free Press, 11 June 1952, page 20. “R. C. S. Bruce, Golf Association organizer, dies,” Winnipeg Free Press, 10 June 1952, page 30. “City magistrate dies suddenly,” Winnipeg Free Press, 5 August 1969, page 1.